Common lithium-ion batteries only have a certain capacity," said Kyeongjae Cho, a professor at The University of Texas at Dallas in the US. "And most people want to use their phones for a longer time," said Cho. 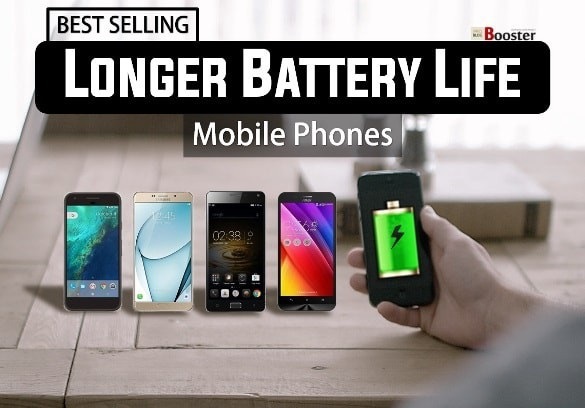 Many smartphone users are familiar with the shelf life of lithium-ion batteries. Sometimes a charge can last roughly a day. Cho, along with research associate Jeongwoon Hwang, worked with other regional scientists to improve lithium-sulphur batteries, long considered by many to be an evolution from lithium-ion batteries. Lithium-sulphur batteries have important advantages over lithium-ion batteries. According to Cho, they are less expensive to make, weigh less, store almost twice the energy of lithium-ion batteries and are better for the environment. "A lithium-sulphur battery is what most of the research community thinks is the next generation of battery," Cho said. 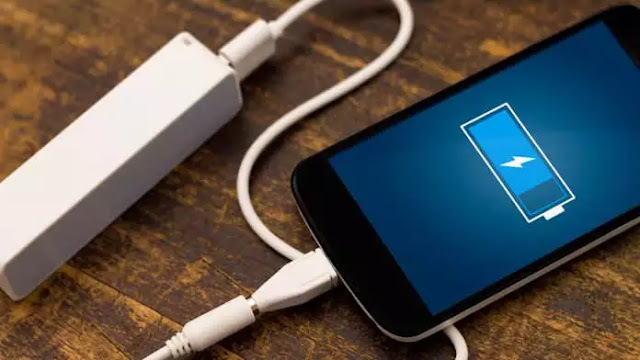 "It has a capacity of about three to five times higher than lithium-ion batteries, meaning if you are used to a phone lasting for three hours, you can use it for nine to 15 hours with a lithium-sulphur battery," he said. However, lithium-sulphur batteries are not without problems. Sulphur is a poor electrical conductor and can become unstable over just several charge-and-recharge cycles. Electrodes breaking down is another reason lithium-sulphur batteries are not mainstream. Scientists have tried to improve lithium-sulphur batteries by putting lithium metal on one electrode and sulphur on the other. However, lithium metal often is too unstable, and sulphur too insulating. The scientists discovered a technology that produced a sulphur-carbon nanotube substance that created more conductivity on one electrode, and a nanomaterial coating to create stability for the other. The researchers discovered that molybdenum, a metallic element often used to strengthen and harden steel, creates a material that adjusts the thickness of the coating when combined with two atoms of sulphur, a coating thinner than the silk of a spider-web. They found it improved stability and compensated for poor conductivity of sulphur, thus allowing for greater power density and making lithium-sulphur batteries more commercially viable. Aqueous Hybrid Battery WIll Now Charge Your Mobile In 30 Seconds! The issue of the battery is still one of the most mysterious and unsolved problems of the modern era. Lithium-based batteries, which we are currently using, have reached an almost saturation point, where it cannot be improved. However, alternatives are being developed, which can solve the power problem, and some interesting developments have taken place. Korean scientists have now developed a hybrid, aqueous battery, which has been claimed to charge a battery within 30 seconds. How is it possible? We will soon explore. Recharge Your Mobile in 30 Seconds! This actually seems too good to be true: Imagine a new, non-lithium based battery, which takes just 30 seconds to fully recharge. Not only your mobile but also your laptops, tablets and other gadgets can actually transform. Scientists from Korean Advanced Institute of Science and Technology (KAIST) have successfully demonstrated that this is indeed possible. How Does The Aqueous Hybrid Battery Work? Same old’ cathode and anode are no doubt used but in a new, revolutionary way. A new form of a liquid electrolyte has been developed, which is sandwiched between a specially-designed anode and cathode. While the anode is made of polymer chain materials based on graphene, which gives it a high surface area, and thus capability to store more energy. A cathode, on the other hand, is made from nickel oxide nanoparticles embedded in graphene. The molecular structure of these materials has produced a new form of storage mechanism, which has higher energy density and faster energy exchange. And, the important part: Energy loss. Experiments have shown that this hybrid battery has near-zero energy loss, maintaining their capacity at 100% over 100,000 redox cycles. In short, the new battery is over 100 times more powerful than traditional lithium-based batteries, which are currently in use. Now, it would be interesting to observe how soon can this battery be commercially launched, and how soon can it improve the current power woes. It looks like leaks and rumours will leave nothing to our imagination by the time Samsung launches its Galaxy S9 smartphone(s). After several leaks about processor and screen details, and renders showing the handset's design, a new report now talks about the handset's battery capacity. A separate report also talks about the rumoured Galaxy S9 'Active' variant. Starting with the Galaxy S9, one of the smartphone repair components wholesaler named Union Repair seems to have jumped the gun and has revealed the battery sizes of the handset. The wholesaler, on its website, lists battery replacement for the Galaxy S9 and the Galaxy S9 Plus. According to the listing, the S9 is supposed to feature 3000mAh battery, while its big screen variant is said to sport 3500mAh battery. To several Samsung fans this may not sound convincing enough as the battery capacity mentioned for the Galaxy S9 is exactly the same as that in the Galaxy S8. The S9 Plus' battery capacity is 200mAh more than that of the S8 Plus. But it still remains less than Galaxy S7 Edge's 3600mAh battery. However, despite sporting a similar battery capacity, the performance might be better as the handset is said to sport much powerful and efficient processor. We can only know once we review the smartphone and if the aforementioned claim by the Union Repair website holds some weight. The South Korean tech firm's flagship smartphone is expected to see the light of the day on February 25. Some of the rumoured specifications of the handset include Qualcomm Snapdragon 845 processor, 6GB RAM, dual rear cameras and nearly the same design sans the placement of the fingerprint sensor. Since the launch of the S9 and the S9+ is by end of this month, we are likely to see them hitting the shelves initially by March. 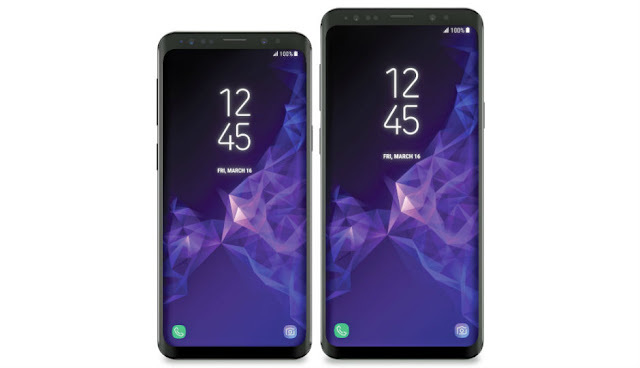 Samsung Galaxy S9 'Active' rumours hit the web Now that we are sure of the Galaxy S9 smartphones coming out within next four weeks, fresh reports have started pointing out attention towards their 'Active' variant. For those unaware, the particular version essentially is the same regular model but with a rugged look. XDA Developers have obtained a list that shows the codenamed of the Galaxy S9 devices. While the list mentions 'star' and 'star2' which are said to be the codenames of the two Galaxy S9 handsets, the third 'astarqlte' codename could be that of the 'Active' variant. The 'a' here may mean Active, while 'q' and 'lte' could mean it may sport a Qualcomm processor along with LTE connectivity.